Our initial meeting with you is complimentary, so there is no cost to you. We normally charge a fee on implementation of our advice. This fee may be taken from your investment and paid to us by the provider. Alternatively, we can invest 100 per cent of your capital and invoice you for our fee. Typical charges are 3% tiered down to 0.5% of the initial investment, depending on the amount. What does an initial meeting involve? We discuss the financial issues that are important to you. We introduce our company and explain our services. We provide you with a client agreement and informative literature. If you wish to proceed and receive a written report with recommendations, we undertake a ‘fact find’ to ascertain your personal details, income, expenditure, assets, liabilities, existing plans and objectives. All of your personal information is treated as strictly confidential and not passed to any third parties, except with your signed permission to investment providers we recommend. What does a report include? 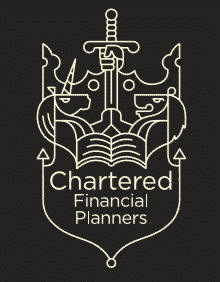 We summarise your financial objectives in writing and set out our recommendations in full, including any risk warnings and tax implications of our advice. Any investments or plans we recommend are fully explained, and accompanied by supporting documents as appropriate. How do you arrange investments and plans? We help you to complete applications to providers, which are confirmed with your signature. We organise the paperwork to meet anti money-laundering regulations and send copies to each appropriate provider. We liaise with them regularly until your investment is completed and they write to you with confirmation. Who is the owner of each investment/plan? All investments, plans and policies are in your own name and fully owned by you. You are free to deal directly with product providers. In the case of wraps or platforms, this may incur an additional charge. Who should payments be directed to? We do not handle client money and all cheques or payments are payable to the product provider directly. Where we agree to work on a fee basis, payment of the fees are payable to Chadwicks. All investments carry some degree of risk. By carefully assessing your attitude to risk, we ensure your investments correctly reflect the approach you wish to take. Furthermore, in the event of failure of an investment provider, there are statutory protection schemes in place. These cover Banks and Building Societies, Insurance Companies and Investment Groups. Our client agreement sets out in full the protection that applies to each type of investment through the Financial Services Compensation Scheme (FSCS). Asset-backed investments may fall as well as rise in value, and you may get back less than you paid in. All risk warnings are detailed in the report we send you. If you require further information, don't hesitate to contact us, our skilled team are always here to help!